For 13 years Nigeria was under military rule. On october 1st 2014, Africa most populous nation- Nigeria will be celebrating 54years of being a sovereign state. 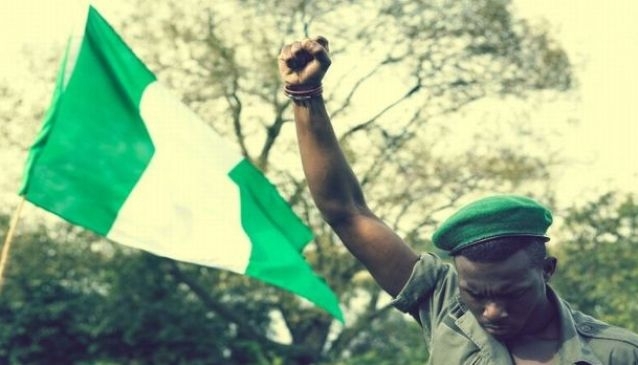 Nigeria gained independence from the British on October 1st 1960. The nation has over the years faced a lot of challenges that has threaten to break it. In this piece, we shall be talking about the various challenges Nigeria has faced as a nation and how she is still standing tall. What we regard as the present day Nigeria, came to be as a result of the amalgamation of the Lagos colony, Southern Protectorate and Northern Protectorate by the British in 1914 under the rulership of Lord Lugard. Before the arrival of the British, the various Kingdoms/Empires that makes up Nigeria today has been in existence as far back as 11,000BC. Achaeology research carried out by Thurstan Shaw and Steve Daniels, shows that the region was already inhabitated by settlers. The south west region occupied by the Yoruba speaking tribe, already had a systemtary government. The Oba (King) was the highest authority. He was a ceremonial head and in charge of the affairs of the state. The Oba had a prime minister known as the Bashorun, in charge of the affairs of the government, Oyo Mesi/Ogboni were the king makers and also the Arene Ona Kankanfo, the head of the military.The history of the Yorubas is still unknown but there are several myths about their ancestors. According to one of such myths, the Yorubas are said to be the decendant of Oduduwa. It is believe that Oduduwa created Ile-Ife with sand carried in a snail shell given to him by God. As he got old, he (Oduduwa) could not continue with further creation so he sent his seven sons to continue with his work. The sons of Oduduwa created seven empires which is the present day seven states of the south west region. The Yoruba empire flourished in the earlier times by participating in the trans-sahara slave trade and also agriculture. It came to it peak with the introduction of the Atlantic Slave Trade in the 18th century. Another empire in precolonial Nigeria is the Savanna States which is the present day North central, North east and North west. The savanna state comprises of the Kanuri, Fulani and Hausas who are believed to have migrated from North Africa. The region had trade relations with Northern Africa and this brought Islam in the 13th century. In south east we have the Igbo communities founded in the 16th century by migrants from Benin. The kingdoms in the region then was, Onistha kingdom and Arochukwu kingdom. The people here are majorly traders. Before christChristianity they worshipped traditional gods and ancestors. In the south south, there was the Benin kingdom, Warri Kingdom, Ibibio kingdom among others. These people occupy the riverine area of the country and they are the sole producers of crude oil in the nation. In the 18th century, the slave trade was introduced and the various kingdoms/empires in Nigeria participated actively in the trade which made their major economy base. With the abolition of the Atlantic slave trade in the 19th century, they went back to agriculture and this brought Europeans to the interior part of the region. The British took over the Royal Niger Company and the territories in 1900. On January 1st 1901, Nigeria became a British protectorate. The various kingdom/empires didn't give in to the rule of the British and fought wars to regain their freedom. Considering the superior powers of the weapon used by the British, these kingdoms couldn't match up. Therefore, Nigeria became a British territory. The name Nigeria was coined by Floral Shaw the fiance of Lord Lugard. As the years went by, many countries under the colonial rule were gaining independence. This led to a coalition of elites group in Nigeria. A nationalist meeting was held in 1956 and this gave way to the process that led to Nigeria's independence in 1960. 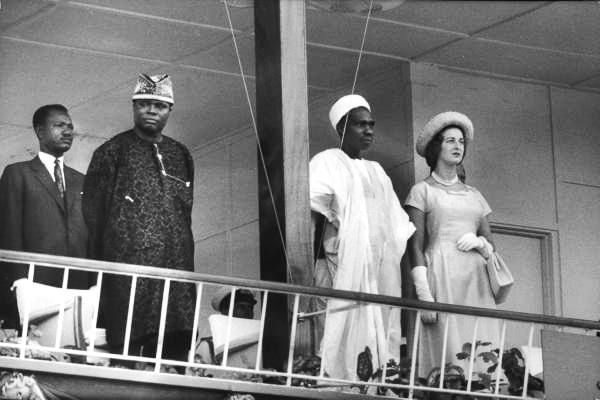 On October 1st, 1960 the British handed power to the Federation of Nigeria under a constitution of parliamentary government. Nnamdi Azikiwe was the monarch and ceremonial head while Sir Abubarka Tafawa Balewa was the Prime Minister. In 1965, a national election was conducted. This was the first election to be done by the country as an independent state. The result of the election brought a lot of misunderstanding and dispute as it was refuted to have been rigged. Amist unrest and a shaky government, a military coup was launched January 15th 1966. This coup was very bloody as the Prime Minister was killed alongside the priemers of the northern and western region. 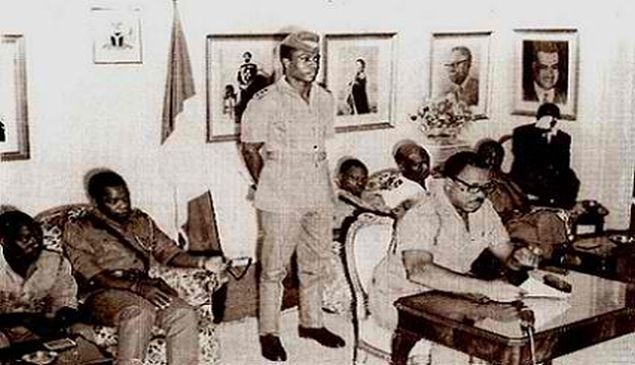 Although this coup was partially successful, another one was launched and this brought in General Aguyi-Ironsi as the first military head of State. Seeing that the coup which brought General Aguyi-Ironsi (an Easterner) to power, claimed the lives of many Northerners, it brought another fraction in the country. The Northern military officers weren't happy about it and decided to stage a counter coup in July 1966. This coup was also very bloody and it affected the Easterners more. For 13 years Nigeria was under military rule. In this 13 years of military rule, it wasn't a smooth one as there were lots of chaos in the country. General Yakubu Gowon who became the head of state after the coup of July 1966, foresaw that if something wasn't done about the state of the nation, Nigeria will seize to exist. The four regions were turned into 12 states but this didn't stop the unrest in the country. The Eastern secessionist sentiment were still not happy about the creation of states as they requested for a separate constitution. The Easterners wanted to be a sovereign state without the influence of Nigeria. On May 29 1967, Lt. Col. Emeka Ojukwu became the head of the secessionist sentiment. Before he became the head of the secessionist sentiment, he was the military governor of the eastern region. On May 30 1967, Lt. Col. Emeka Ojukwu declared the eastern region the Republic of Biafra. The announcement led to a civil war. The civil war lasted for about 3years and an estimate of 3.5million deaths were recorded. After the civil war, promises were made to return to a civilian government but that didn't happen until the later years.Surprisingly, the Nigerian economy was relatively booming despite the fact that it just recovered from a war. The petroleum market was favourable and the foreign exchange rate and government revenue increased. 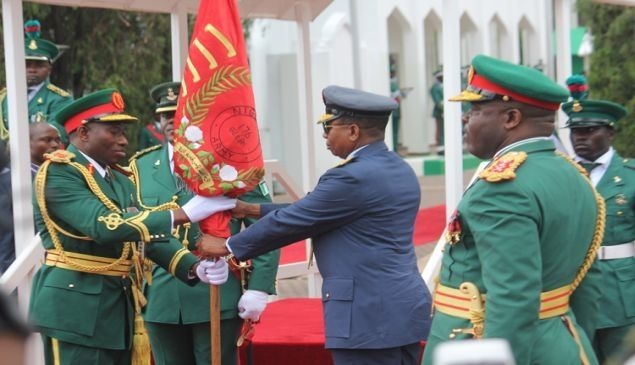 After the many years of military rule with failed promises to return to a civilian government; in August 1998, General Salami Abubakar appointed the Independent National Electoral Commission (INEC) to conduct elections for local government councils, state legislatures and governors, the national assembly, and president. The NEC successfully held elections on 5 December 1998, 9 January 1999, 20 February, and 27 February 1999, respectively. For local elections nine parties were granted provisional registration with three fulfilling the requirements to contest the following elections. These parties were the People's Democratic Party (PDP), the All People's Party (APP), and the predominantly Yoruba Alliance for Democracy (AD). Former military head of state Olusegun Obasanjo, freed from prison by Abubakar, ran as a civilian candidate and won the presidential election. The PRC promulgated a new constitution based largely on the suspended 1979 constitution, before the 29 May 1999 inauguration of the new civilian president. The constitution includes provisions for a bicameral legislature, the National Assembly consisting of a 360-member House of Representatives and a 109-member Senate. It's 2014 and Nigeria still runs a civilian government under President Goodluck Ebele Jonathan. Although there have been some challenges like the boko haram insurgency and corruption amongst top government officials, but that hasn't stopped the nation from developing. According to reports, Nigeria has taken over from South Africa as the leading power in terms of economy development in Africa. The presidency is doing all within it powers to ensure Nigeria remains one and the dreams of our heros past are not in vain. Come October 1st 2014, Nigeria will be celebrating 54years of Independence and togetherness. The Nigerian independence day parade is usually a colourful one which takes places at the Eagle Square Abuja. 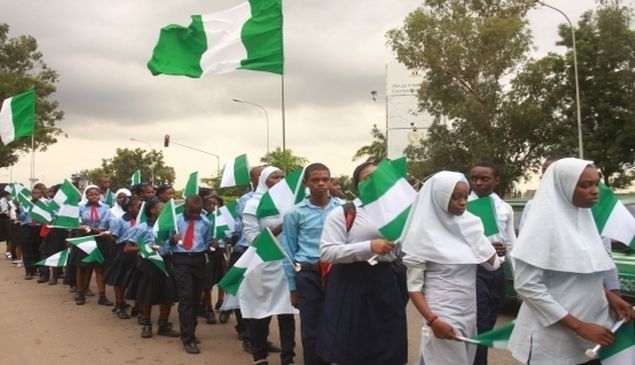 The parade brings together people from different works of life, school children and the various arm forces in the country. It is one of the best time of the year for Nigerians as everyone forgets about the differences in tribe and they celebrate as one entity. Let us talk about Nigeria. You can start a discussion on our facebook page and twitter handle@mydnigeria. Together we can make this nation great, Happy Independence Day Nigeria! It is promo time here! From now to December, Mydestination is giving discount for webcommercials+ a dedicated profile for 6 months on our travel guide. What are you waiting for? Be a part of this great opportunity. Click here to ask me more about this.